Born in a Chicago suburb and a graduate of Indiana University School of Business, Melissa is an unusual mix of dedicated mentor and analytical problem solver. With the complexity of the current real estate market with the challenges of determining correct property values, short sales, bank owned properties and loan options, she is able to help educate and guide her clients to make well informed decisions regarding the sale or purchase of a property. For those clients who are over 50 years old, she can help guide you through the tax, financial, legal and economic issues that may impact their real estate decisions. She has a reputation for her strong work ethic, professional integrity and passion for helping her clients achieve their real estate dreams. Prior experience working in sales, finance and marketing positions in fortune 100 businesses and as a loan officer helps her clientele make informed decisions about their real estate investments. Her background in these areas along with knowledge of home loans is a tremendous advantage to her clients. 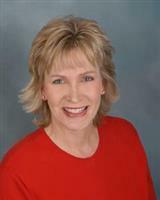 By giving the tools and resources required, she helps her clients close solid real estate transactions and investments.